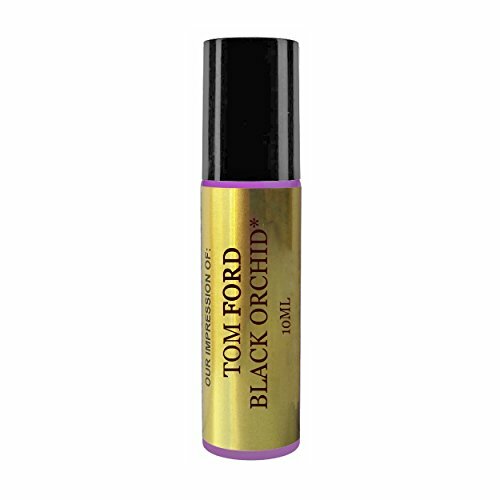 Perfume Studio Premium Perfume Version of TF_Black Orchid* - A Top Quality Alcohol Free, Pure Parfum Oil in a 10 ml Glass Roll-on Bottle. Made in the USA from Top Quality Perfume Oils; Skin Safe, Phthalate and Vanillin Free. Perfume Studio 90-DAY Money Back Guarantee: Perfume Studio Oils are made from the best premium quality Perfume and Essential oils available. If you're not 100% happy with our products in any way and wish to return it for an exchange or a full refund, you may do so within 90 days of your purchase. *Disclaimer: Perfume Studio Oils are Premium Impressions and Versions of famous brand fragrances and not associated in any way with the designer brands or manufacturers mentioned on this offer. Name trademarks and copyrights are properties of their respective manufacturers and/or designers. Designer/Brand Name is solely used for comparison purposes to give customers an idea of fragrance character and scent accords. An Alcohol Free, Top Grade Perfume Oil with Long Lasting Scent - A Pure Strong Oil; Please Dilute with a Carrier Oil if you find Scent to be too Powerful. Packed in a 10ml,Travel Size Refillable Amber Glass Bottles with a Smooth Metal Ball Applicator. IMPORTANT-PLEASE READ: This Perfume Oil is a TYPE/VERSION/IMPRESSION of Original Fragrance with Similar Scent and Fragrance Accords to Name Brand Fragrance. PLEASE Do Not confuse with Original Brand.